Maps International offers beautiful mapping with a strong focus on design. 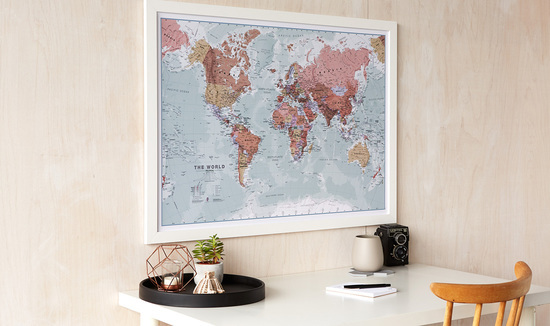 Our wall maps are the perfect addition to your home. 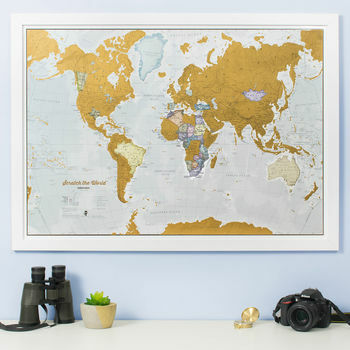 We are the definitive online map shop where you can find the finest range of quality wall maps you’ll ever need. Our parent company Lovell Johns, has charted a legacy of over 50 years of cartographic excellence, so mapping is at the heart of everything we do. 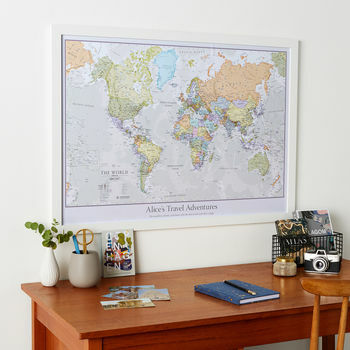 We deliver across the world, with offices situated in Oxford, our expert team of cartographers work with passion, on a stunning range of maps for all moods and homes. "I just love this idea. I went for the whole world and then found out my mum got us the America one too - great minds and all!! Love it x"
"Exactly what I wanted. 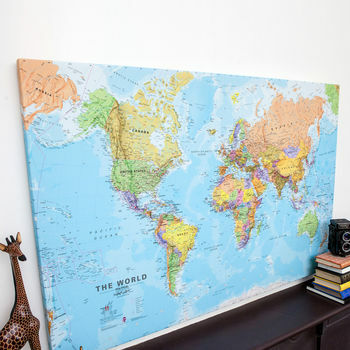 A great personalised map which takes pride of place in our home"
"The map is high quality, well made and it looks great. We love it. The map arrived damaged because it was badly handled during delivery, however the seller was amazing and sent us a new one straight away. Perhaps a more padded packaging could help prevent problems during delivery. The notonthehighstreet customer service was also very helpful, polite and reassuring. Well done!" "Fantastic gift for my golf mad boyfriend. Good quality and looks exactly as the pictures. Arrived on time. Would recommend to all." Please note, we cannot deliver the Personalised laminated & board mounted world map, or any of our framed maps to BFPO addresses.